Hello readers! I'm recently having a sweet tooth. Just fall deeply in love into all sorts of cakes, ice-creams and pastries! Where else would be my favourite place to go other than a bakery confectionery? filled with lots of raisin and rums to enhance the cheese taste. If you're a 100% CHEESE LOVER, then you'd absolutely LOVE it! Well, I hope I don't disappoint the non-cheese lovers out there, because there's another version of not-so-cheesy stick here which is more tolerable for those who don't fancy much of dairy products. Despite of the compact texture, I can only taste the strong green tea flavour which eventually covers up the cheese. Like many Japanese desserts, it is complemented with red beans to bring out the natural flavour of sweetness. but trust me, you'd say differently when you try this yourself! It was for my 19th Birthdae Celebration last month. A must-have for cheese lovers! Especially suitable for birthdae celebrations and special occasions! This is the most authentic, best cheese cake I've ever eaten! let me know where else can you find such a bargain? #7 Don't scroll down too fast! 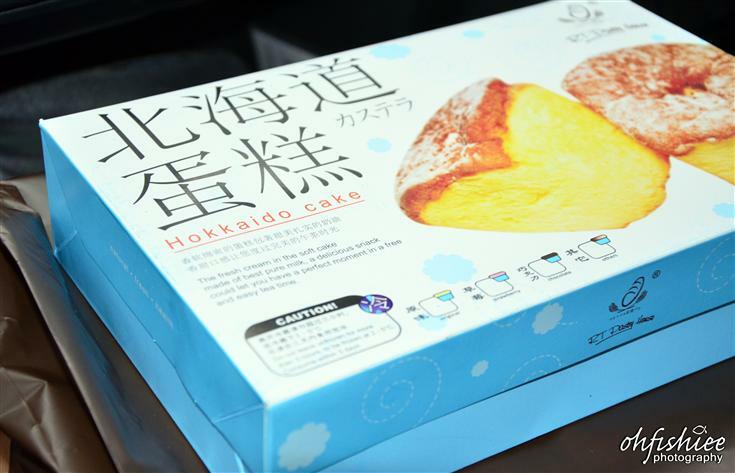 RT Pastry House's signature dessert is the Hokkaido Cake @ RM16.80 per box. 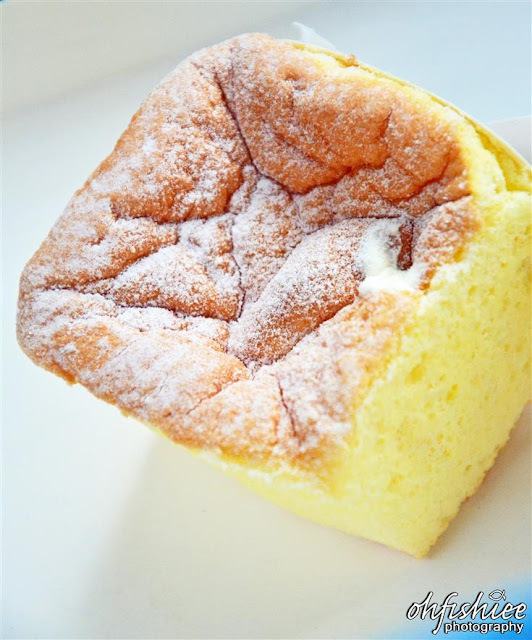 Soft chiffon cake is filled with sweet custard filling and topped with icing sugar. At RT, it comes in strawberry and chocolate flavours. But my personal favourite is still the original vanilla custard cream, melting in the mouth with a cold sensation. It's the best temptation ever! That Hokkaido Cake looks so good! As does the Yam cake. Yum! Hi Maggie, what a sweet seduction right? Wow.. U visit there quite regular hor! 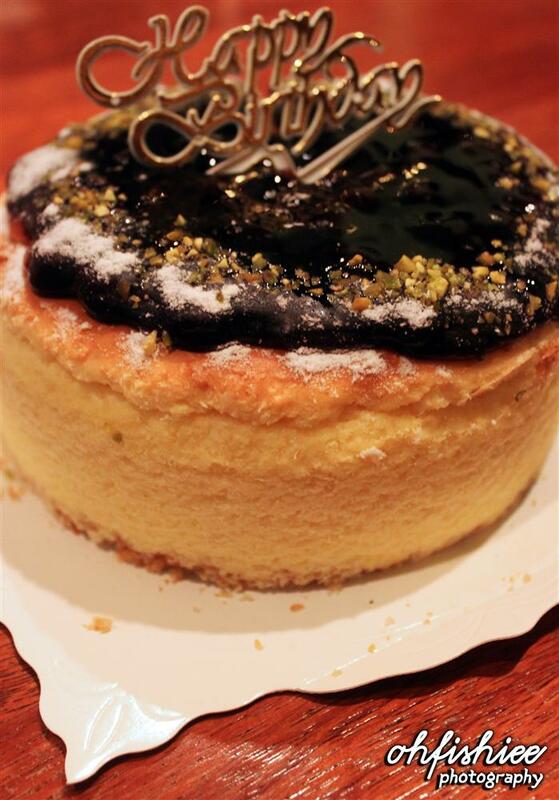 Try their strawberry cheese tart and their signature Opera cake too! Hi WyYv, would love to try that in future! Yam cake should be nice. Heard about this shop from other blogs before. I'm very much interested in their cakes! Very nice packing and certainly looks delicious! oooooo I wanna try the cheese stick! Hi Sean, so nicely described eh (: probably one of the best in town! WAH so many good comments ...really must try it out one day cos I'm a CHEESE LOVER. I'm in for the Yam Cake! Yum! An entire pastry house; great idea! Hello there, it's really good (: check it out! Their cakes are very attractive and yummy de lor....breads are nice too.hehe.. I usually go the SS15 outlet. Alwiz oso so crowded...haiz..
Yum...the Hokkaido Cake is my favourite. Chilling non sweet fresh cream with soft cake in my mouth, oh so hungry now. Hi Vicky, Aww i haven't try before or else i can enjoy it as much as you do! If cheesecakes ain't that pricey, I'd eat them for breakfast everyday. Hi Tony, you tweeted too much :P you can bake it yourself everyday, Hahas! 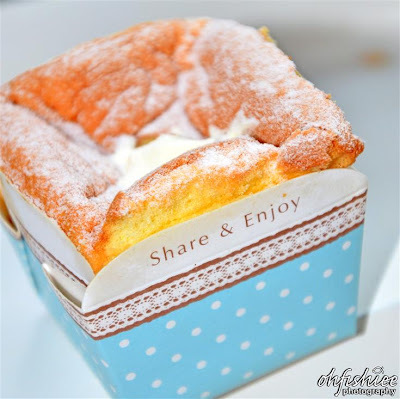 I love their cakes, especially swiss roll and Hokkaido cake,yummy!! the yam cake looks very yummeh. Hi Anne, it's certainly creamy and full of goodness! Hi there, that's definitely a must try! Hi Arthur, the full cheesy stick is really rare as compared to the 'normal' cakes. My friends are so crazy over the cakes from RT. We have one in Subang Jaya and they are always there buying some of the goodies sold here. However, RT is facing competition with 2 more bakeries opened side by side. I am not a dessert person but when I get into RT with my friends, I do enjoy looking at the cakes. Somehow I find that the price is also a little steep but my friends don't mind paying for the love the taste of the cakes here. Hi Xue Ren, cheese lover there? High five! Hi Meitzeu, yes indeed! Enjoy! Hi Connie, you should at least get some pastry there :) looks sinfully good! Until blogging, I didn't know kasutera is so popular oversea! And I also noticed that the word "Hokkaido" often appears in a lot of dishes and baked goods. :-) Maybe they used milk or butter from Hokkaido or they just put the name for popularity. ^_^ All the desserts look delicious!!! I think I've passed by this cake shop in Puchong before. Never knew what's inside until your post! Would love to try that cheese stick though. Interesting.